Lightning-fast Wi-Fi speeds of up to 1200 Mbps1 and Gigabit parts. So you can meet the ever-greater demand from multimedia applications. 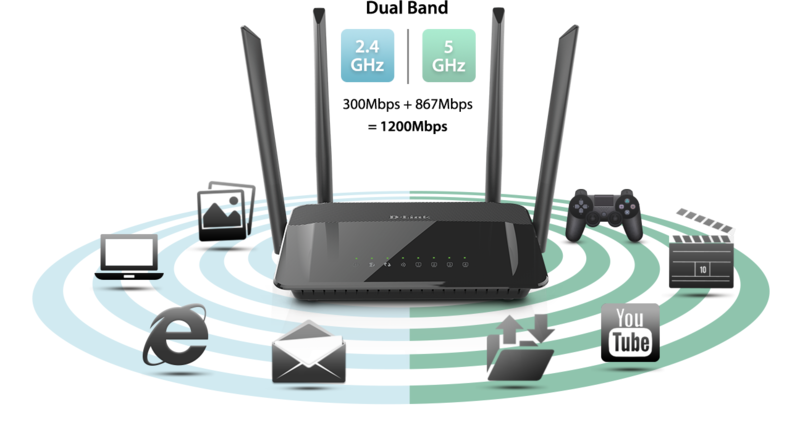 Surf the web, chat and play online games on the 2.4 GHz band with your smartphones and computers, while silmutaneously streaming digital media on the 5GHz band on your streaming media players and tablets. 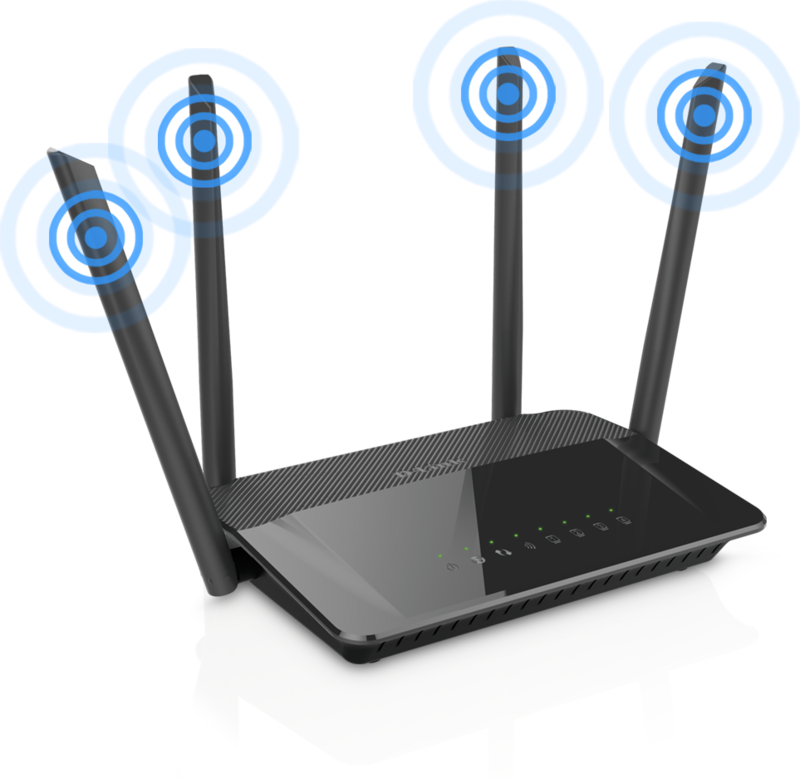 Four external High Gain Antenna give you a wider wifi coverage and better performance. Now you can set up your home network right from your iPhone® or iPad or Android phone. Imagine being able to get your QRS (Quick Router Setup) Mobile-enabled router up and running in no time from the comfort of your couch of favourite chair – no more need to hunch over a computer to set up your network. Just follow the simple instructions to get started. Future-Proof your investment by supporting the new IPv6 Standard.